This pretty piece is a fairy tale that begins to unfold as you reveal your beauty in it. 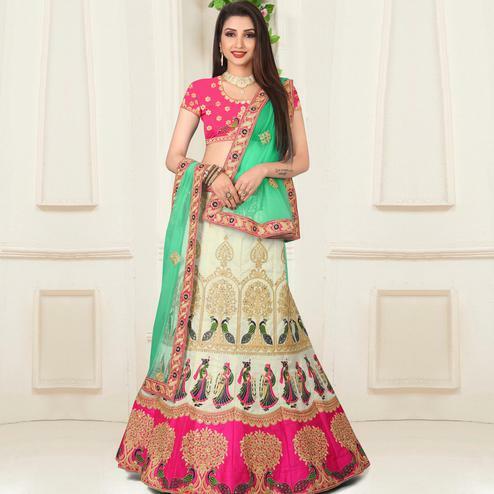 Look ethnic in this affluent rani-rama green 60 GM georgette lehenga choli. Beautified and stylized with embroidered lace resham and zari work to give you an attractive look. Available with satin lining embroidered banglori silk choli fabric and georgette dupatta with lace and butta work. Perfect for traditional functions festivals wedding functions or engagement ceremonies. Pair it with traditional accessories to make your look more beautiful.